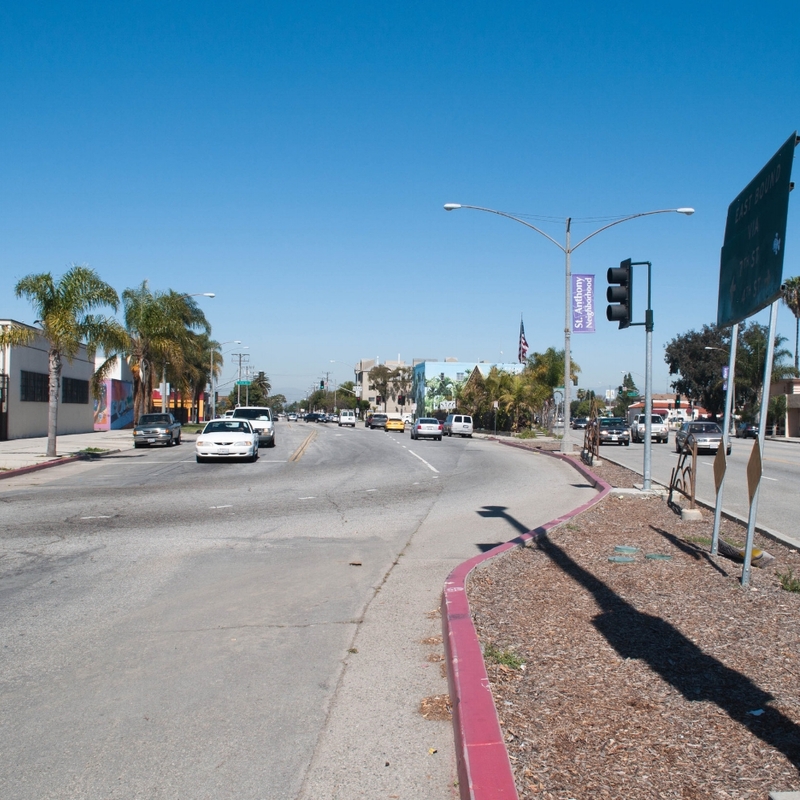 This open space project realigns a complicated series of intersections to improve safety and pedestrian circulation while creating about an acre of public open space for a park-poor community in Central Long Beach. This involved consolidating the five intersections into three intersections while closing one block of roadway, which ultimately removed the most dangerous intersection in the city while creating an urban park that has quickly become the hub of a half dozen surrounding cultural, religious and learning institutions. City Fabrick developed the original concept for the street realignment and park, worked with city officials and community stakeholder to develop the schematic park design and program and worked with city officials to pursue funding. 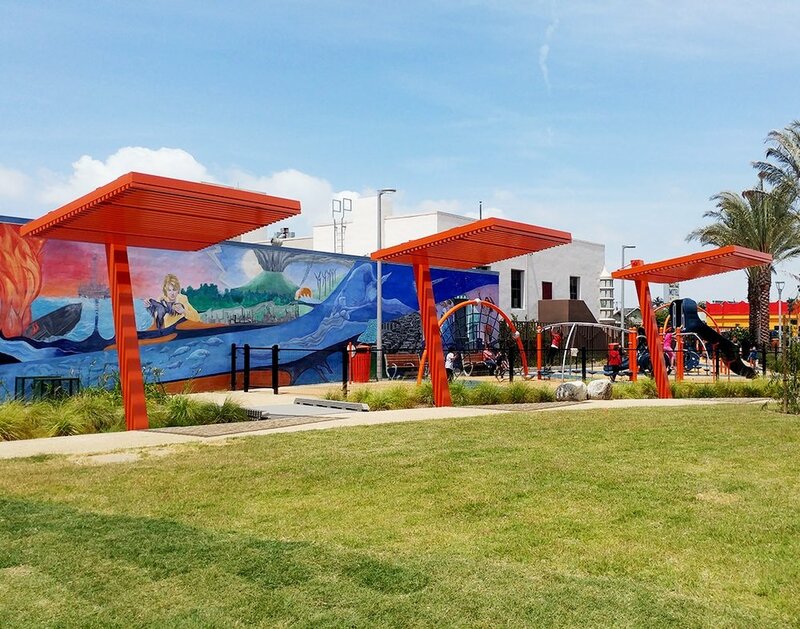 The City of Long Beach was awarded nearly $5 million dollars to realign the streets and develop the new park, which was completed in the Spring of 2017.